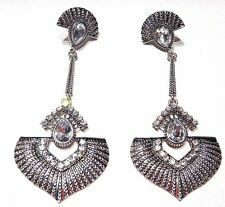 Antiqued silver colored earrings, with a 1920s style (they're new though). have large acrylic tear drop faceted cabs, and smaller actual crystal stones. Due to the light and screen setting difference, the item's color may be slightly different from the pictures. Due to the difference between different monitors, the picture may not reflect the actual color of the item. Fashion Heart&Rose Love White Topaz Gemstone Silver Ring Size 6 7 8 9 10. Size6-10 Queen Rose Gold Heart Cut multicolor Fire Opal CZ Crown Wedding Ring. Exquisite Princess Lady Heart-Shaped Blue Crystal Shining Gem Ring SZ 6-10. Material: Acrylic. Color : [pd_color]. color：black and yellow. Great accessories for jewelry making and any diy craft projects. - Suitable for making chinese hairpin, step shake, earring, bracelet, neckalce, ankle chain, cellphone chain, and all kinds of mini pendant. Material: Acrylic. Color : [pd_color]. color：black. Size : [size_desp]. LIGHTWEIGHT STUD EARRINGS- lightweight and comfortable, won't feel pain and tired after daily wearing, retouch the shape of your face properly. 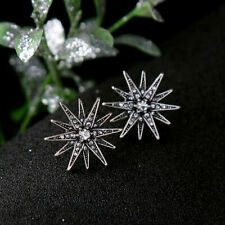 CHARMING DESIGN-crystal stud drop earrings make you shine out of the ordinary. Due to the light and screen difference, the item's color may be slightly different from the pictures. A good choice as a lovely gift for your friend / Wife / Mom/ Sister. 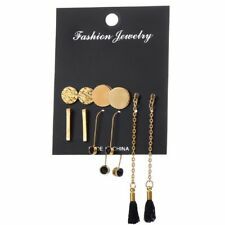 Add a unique accent to your earrings collection. It's a perfect accessory, also a good gift to your friends It will make you beautiful on picture. Suitable for making chinese hairpin, step shake, earring, bracelet, neckalce, ankle chain, cellphone chain, and all kinds of mini pendant. - Great accessories for jewelry making and any diy craft projects. Beautiful design, copper plated, and in delicacy. - Suitable for making chinese hairpin, step shake, earring, bracelet, neckalce, ankle chain, cellphone chain, and all kinds of mini pendant. 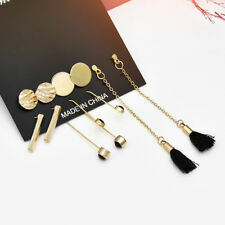 - High quality modern charms. Suitable for making chinese hairpin, step shake, earring, bracelet, neckalce, ankle chain, cellphone chain, and all kinds of mini pendant. 20Pieces Charms Pendants. - Great accessories for jewelry making and any diy craft projects. Moon Light Brown Leopard Rhombus Acrylic Stud/Drop Earrings. Drop/Stud Earrings. Square Chocolate Brown Leopard Acrylic Stud Earrings. Stud Earrings.